After skipping a year last year, the 5th anniversary line-up in 2018 is arguably their biggest line-up of artists yet in the spiritual home of Nick Drake. 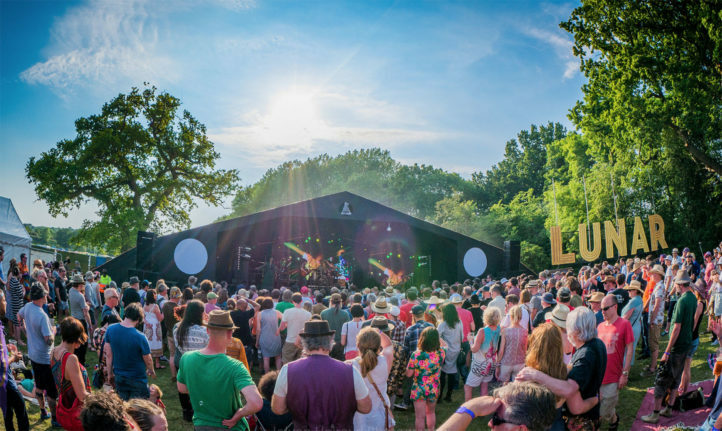 Headline acts includes Malian music legends Amadou & Mariam, electronic party pioneers Basement Jaxx, acclaimed cinematic pop duo Goldfrapp and legendary punk band The Stranglers. 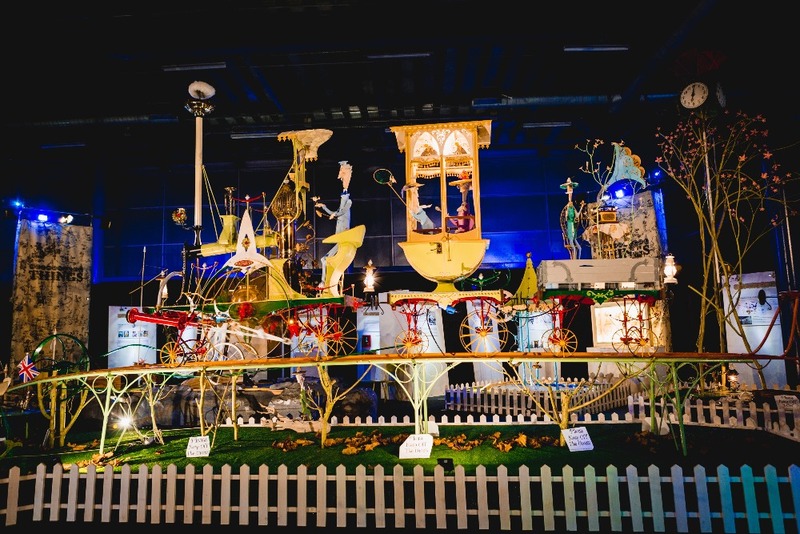 The jam-packed festival programme includes partnerships with the RSC, the National Space Centre and the Glee Club. Luxury camping includes bell tents, landpods & vintage tents. 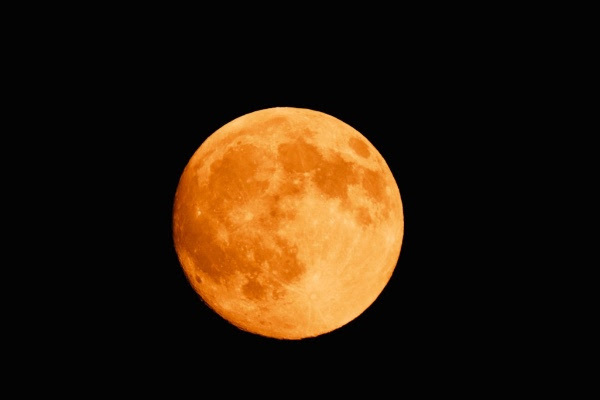 Check out the night sky for the longest blood red moon eclipse at 10pm. To read up on it go here. 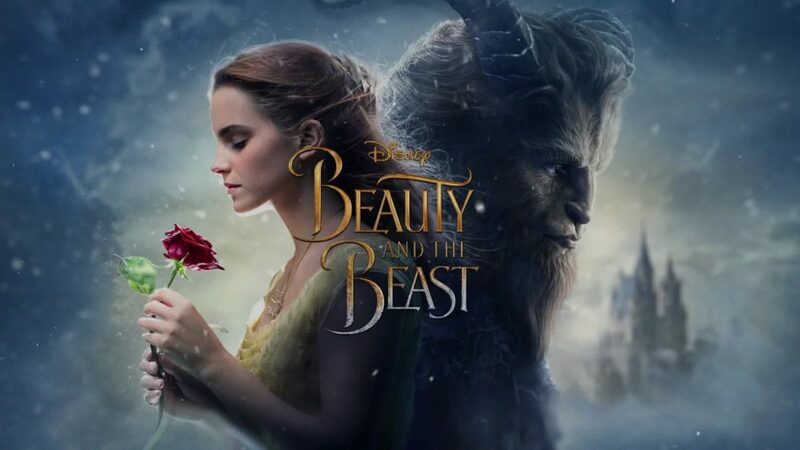 In the secluded parkland of this moated 15th Century National Trust Manor House you can see Emma Watson and Dan Stevens in the family-friendly live action version of Beauty and the Beast (PG) on July 26 and Kevin Bacon’s toe-tapping teen in 1984 Footloose on July 28. Top Gun on July 27 has already sold out. 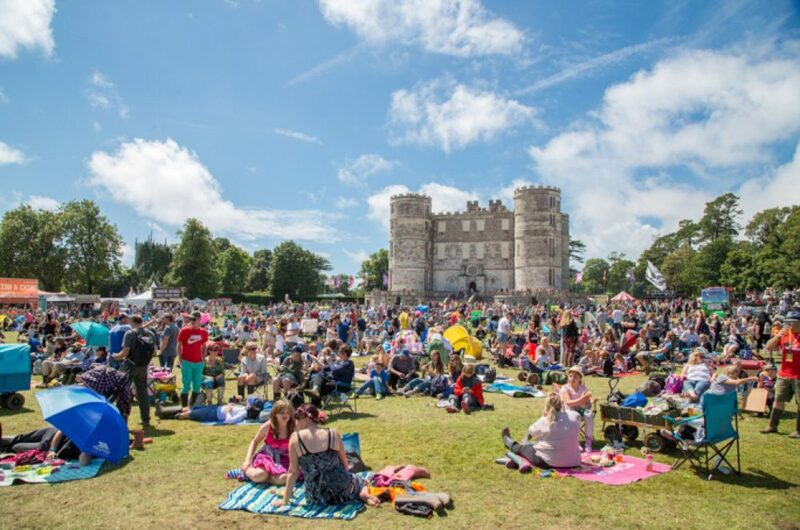 Award-winning folk music and traditional English dance go hand-in-hand at this friendly town centre festival, now in its 39th year. 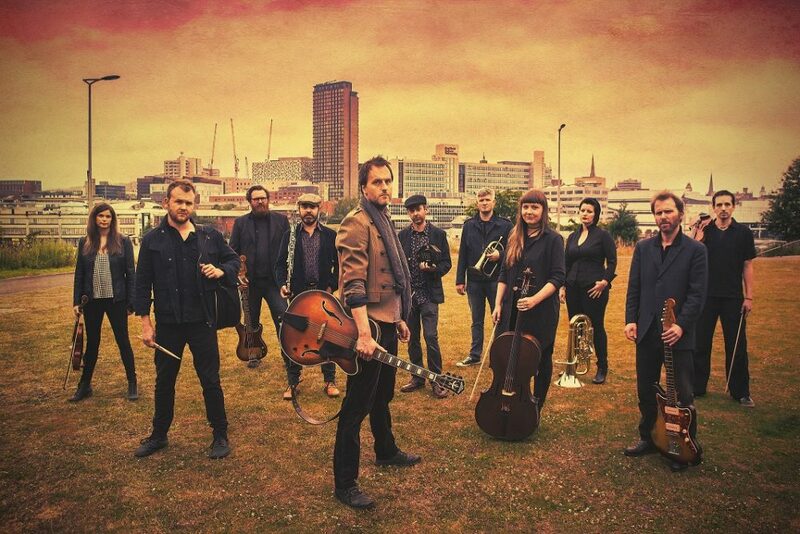 Headliners include Jon Boden & Remnant Kings –the lead singer from multi-award winning Bellowhead. Also on Thursday Will Pound brings his Through the Seasons show, as heard recently on Radio 2, 3 and 4, to the festival. On Friday, experience fiery sounds from Canada’s east coast Vishtèn and the best of Irish with Daoirí Farrell. Saturday sees the return of roots band Show of Hands with long term collaborator Miranda Sykes on double bass. Also on Saturday Basque superstars Korrontzi return to the festival by popular demand. Ace fiddle player Gordie MacKeeman & His Rhythm Boys joins the festival on Sunday. See more than 100 other artists including rising folkstars Granny’s Attic, award winning songwriting duo Megson, comedian poet Les Barker, guests from Cork Folk Festival, and a full programme of lectures. Adrenaline-fuelled stunt action meets breath-taking cirque style artistry. Have you ever seen a bow-and-arrow shot like this before? I know I haven’t. 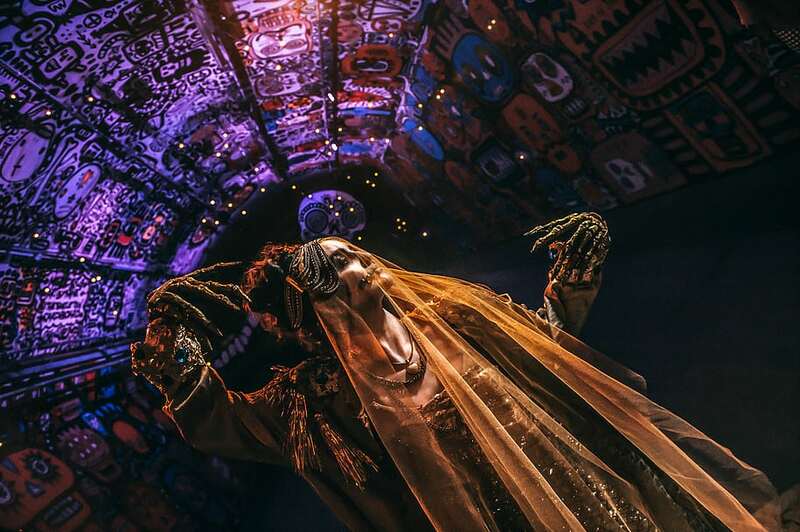 Combining traditional acts with fresh, contemporary feats, Cirque Berserk pays tribute to the rich 250-year history of circus, while bringing it bang up-to-date. 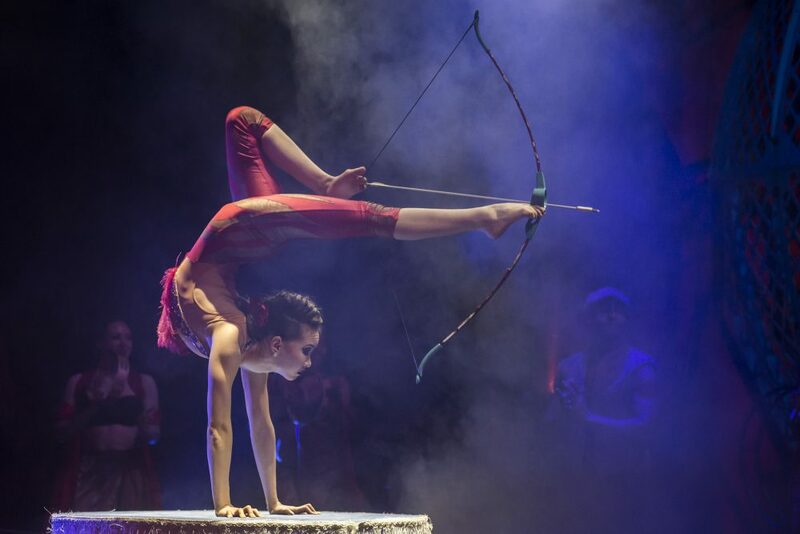 Expect anarchic thrills as you witness the world’s most hair-raising circus act – the legendary motorcycle Globe of Death – as well as displays of astonishing skill from a talented international group of performers, including more than 30 acrobats, aerialists, dancers, drummers, jugglers and daredevil stuntmen. Get your fix of country pursuits from Shooting on Europe’s longest clay line to Gun Dogs, Ferreting, Horses & Hounds, Fly Fishing and Falconry at the 60th anniversary of this British countryside festival at Ragley. On the Friday and Saturday night Ronnie Scott’s will be hosting an intimate soiree of live music, with a light supper menu created by celebrity chef James Martin. 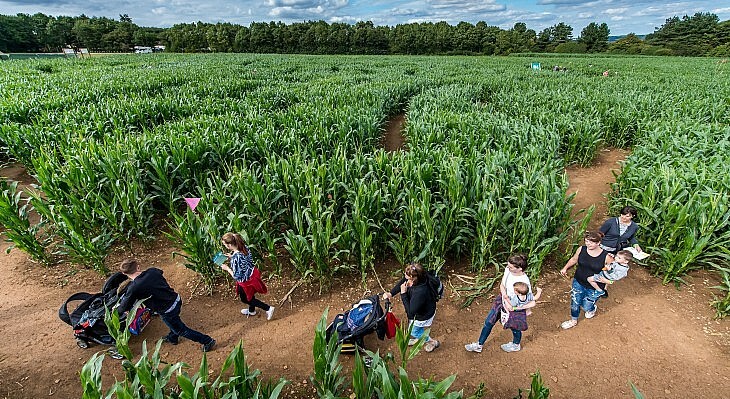 There’s plenty to do for kids too including 45-min Forest School workshops, a 9-metre climbing wall, 40-metre-high inflatable obstacle course, low ropes course and woodland creche. 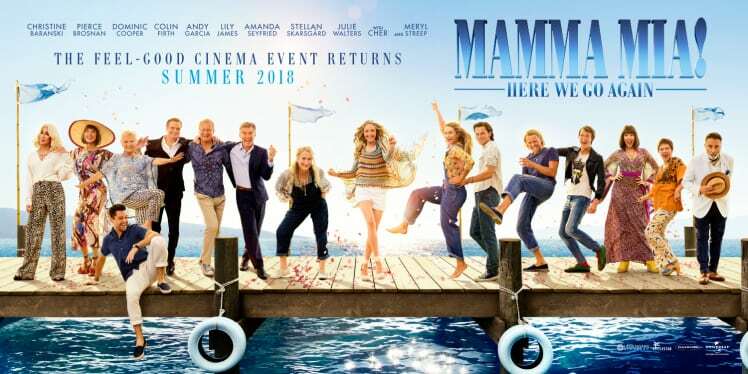 The original cast plus Cher as Sophie’s grandmother, it’s as good as the first, full of sunshine-y joyful ABBA hits, a great story and plenty of laughs. 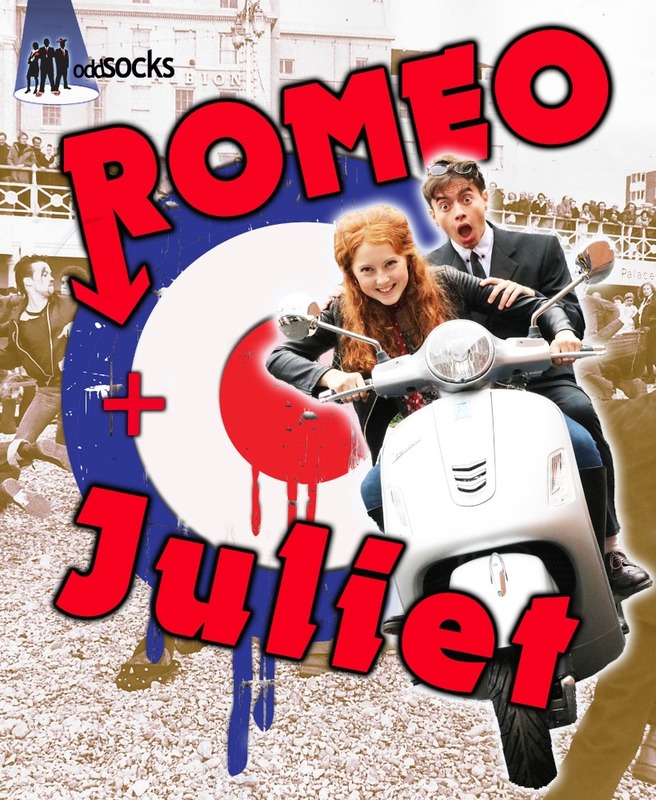 Oddsocks have given Shakespeare’s Romeo and Juliet a quirky musical Mods and Rockers’twist. Doors open 6.30pm, performances start 7.30pm. 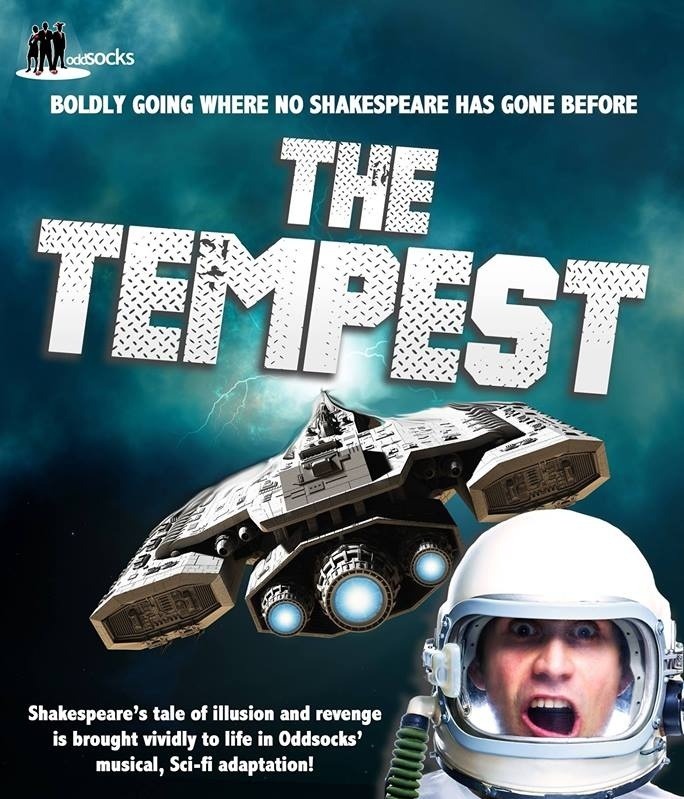 Shakespeare’s tale of illusion and revenge is brought vividly to life in Oddsocks’s musical, sci-fi adaptation of The Tempest. Doors open 6.30pm, performances start 7.30pm. Two popular vegan food traders will be travelling up from London. 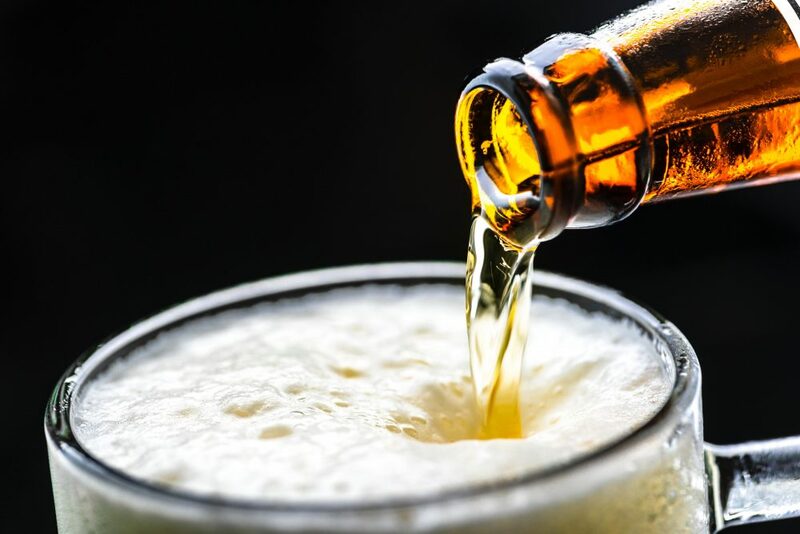 Food will be available only in the indoor ticketed areas, and bars will be set up inside the Twisted Barrel taproom as well as function space The Box, plus karoke. Accessible to ticket holders only, 11am – 8pm. Tickets from £4. Take part in family-friendly Battlefield Medicine Workshops, craft activities and enjoy an outdoor performance of Local News 1915 by Tell Tale Theatre Company (2.30pm). Explore the Home Front stories and the extraordinary stories of soldiers from the Royal Warwickshire Regiment. Also find out how to research your family military history at 2pm. Event runs 10am-5pm. 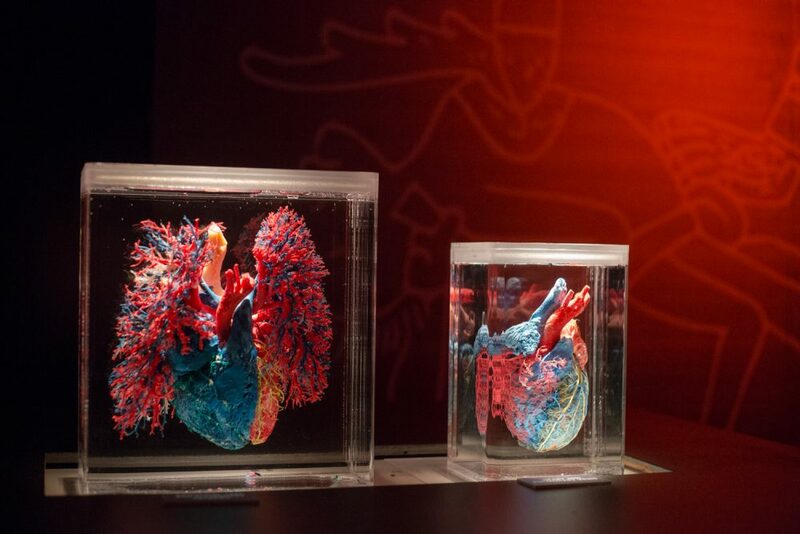 This summer explore and play your part in a curious experimental art installation based on Romeo and Juliet. 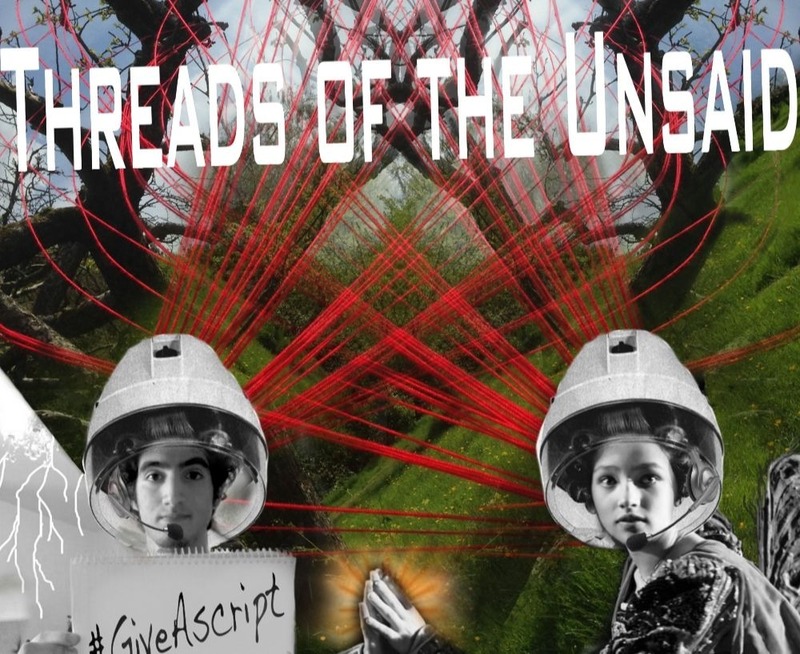 Led by award-winning sound and visual artist Thor McIntyre, this immersive retelling of Shakespeare’s tale of love, loss and reconciliation will feature collective responses from visitors which will grow and unfurl into a tunnel of scarlet red threads woven into the orchards of Anne Hathaway’s Cottage, the place where the famous playwright wooed his bride-to-be. It will culminate in a crowd-scripted evocation of this famous love story debuting at a Meet the artist event on Sept 1. You can also contribute online, via the hashtag #GiveaScript. The community arts organisation will be hosting FabFest taking their Art and Media bus to the Old Tramway from 12noon – 5pm. 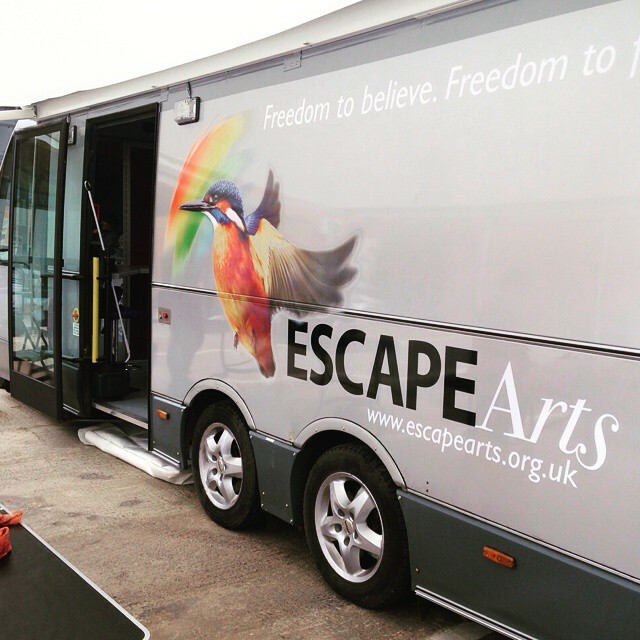 Then they’ll be heading to Escape at Art in the Park at Jephson Gardens in Leamington Spa on Aug 5 & 6. Entry is free. 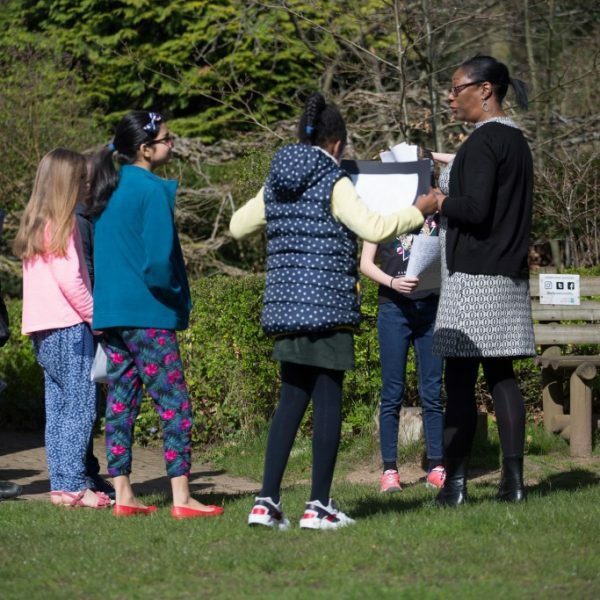 They’ll also be running CSI Spy Camps and Big Builds in the summer holidays for 6 – 13-year-olds every Tue and Wed.
Are you – or do you know – a young person (school years 7 – 12, aged 12 – 17) who loves writing or wants to be a writer? At this five-day summer writing school, run by Birmingham-born poet Liz Berry and poet and writer Paul McDonald, they can dabble in lots of different types of writing, from poetry to radio plays to flash fiction to wordplay, and finishing with a special performance for friends and family. A great way to practice writing, performing, playing with words, meeting other young (and not-so-young) writers and learn to be the writer they want to be, 9.30am – 3.30pm. They’re back and in a nod to modern life, Mrs Incredible (aka Elastigirl) is tasked with bringing back superheroes whilst dad stays at home and looks after the kids. Humorous, delightful and great fun for kids and adults, this is perfect for the hols. These free after hours evenings offer pop-up talks, live music, DJ sets, street food and drinks plus you can see The EY Exhibition: Picasso 1932, Shape of Light and Joan Jonas for just £10. It’s all going on in Milton Keynes this month. The World Picnic in Campbell Park is a celebration of dance, music and global cultures. There’s arts and craft workshop tents and stalls selling food from across the world. 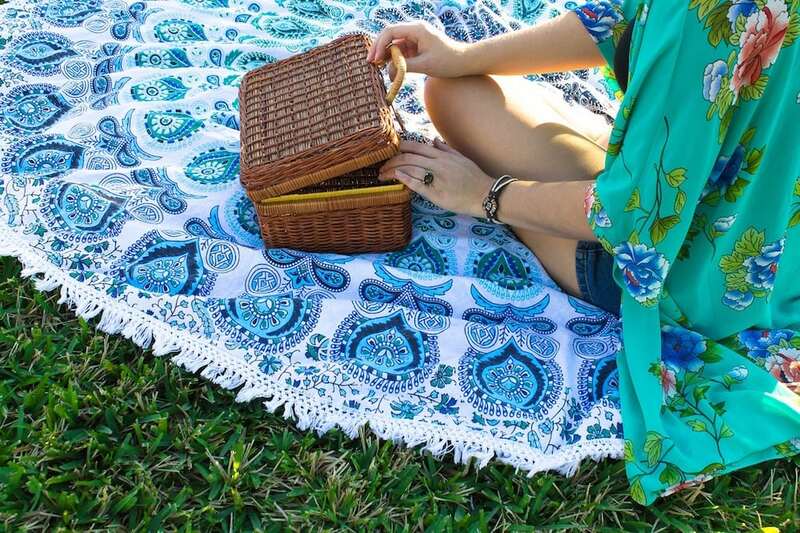 Don’t forget your picnic blanket. And the Scotch eggs of course. Want to encourage your kids to visit all the great museums, libraries and gardens in Oxford this summer? If they’re of an age where stickers and prizes are enough to get them through the door then take part in this family campaign. 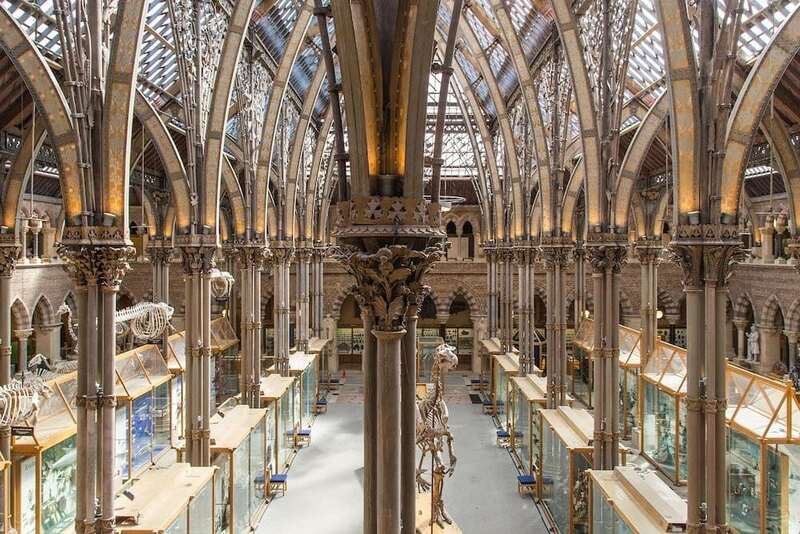 Grab a passport from the information desk at The Ashmolean, Museum of Natural History, Pitt Rivers, Museum of the History of Science, Harcourt Arboretum, Bodleian Library or Botanic Garden and each time you visit get a sticker. Three stickers equals prizes equals happy kids equals smug parents. 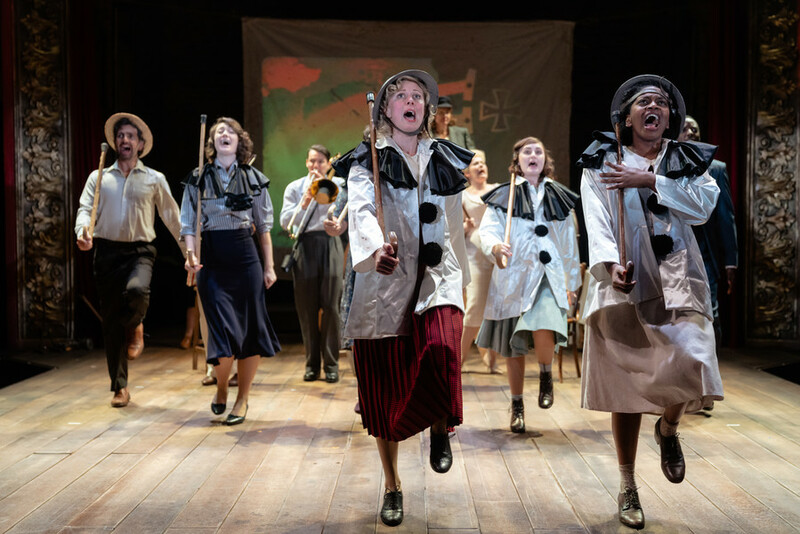 Star Seekers, National Theatre, London – 8 Aug – 1 sept – help the star seekers save their space station in this interactive 50 minute show for 3 – 8 year olds. 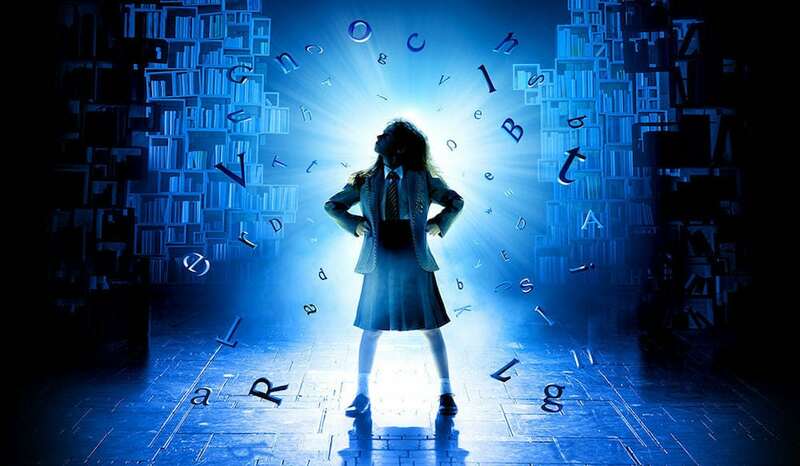 42nd Street, Theatre Royal, Drury Lane – free tickets to this musical extravaganza on selected dates in August. Pressure, Ambassador’s Theatre, London – free tickets to this funny and tense play about the D-Day landings. Suitable for older kids. Venture down the rabbit hole into this Wonderland themed maze over the summer holidays and find the White Rabbit. If you find your way to the middle there will be a Tea Party and you may spot The Mad Hatter. There’ll be various games and puzzles. 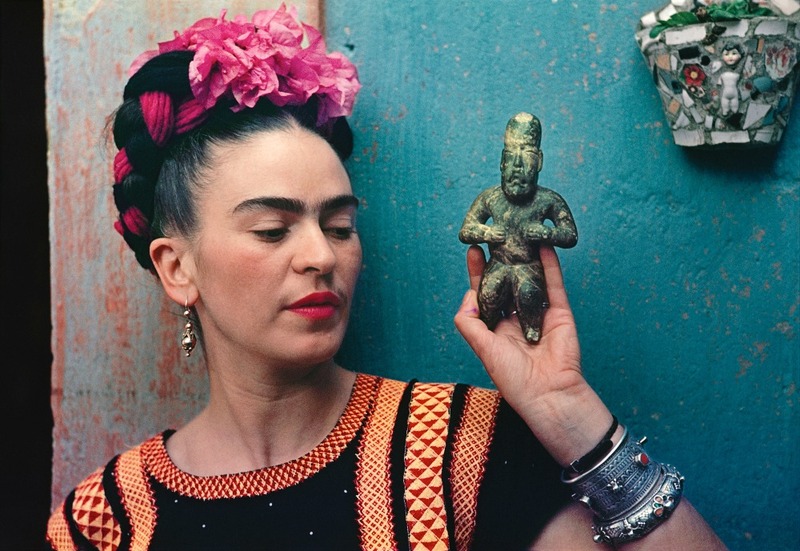 This summer, the V&A will explore how Frida Kahlo (b. 1907), one of the most recognised and significant artists and women of the 20th century, fashioned her identity. More than 200 previously unseen personal objects will be on show including her eyebrow pencil ‘Ebony,’ still within its original packaging, which she used to emphasise her signature mono brow, her favourite lipstick, Revlon’s ‘Everything’s Rosy’ and red nail varnish, outfits, medical corsets and even a painted prosthetic leg! They were discovered in 2004, 50 years after being sealed in the Blue House, Mexico, by her husband Diego Rivera, the Mexican muralist, following her death in 1954.